In a charity hospital, a hard-bitten but honorable older doctor, Dr. Niide, takes a young intern under his guidance through the course of a number of difficult cases. This Akira Kurosawa film tells the tale of young Dr. Yasumoto, a recent medical graduate assigned to a rural clinic for his post-graduate medical training. Yasumoto is condescending and arrogant--he is livid that he, who aspires to join the team of physicians caring for the Japanese Shogunate, should have to train in Dr. Niide's spartan clinic serving the impoverished local population. He finds Dr. Niide, known as 'Red Beard', a demanding taskmaster with a brusque manner and intense devotion to his patients. Niide requires nothing less than a monastic lifestyle of his interns. However, gradually Yasumoto is changed by his exposure to Red Beard. He learns the true meaning of being a doctor, seeing patients as real people who are suffering and as individuals whose lives he can improve and heal with his care. Akira's End It is common knowledge that many things changed for Kurosawa after this film. 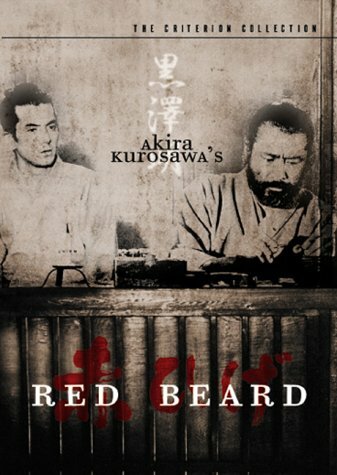 A breakdown, the loss of working friendship with Mifune, funding difficulties...etc...but with all the changes that followed the completion of Red Beard, while watching I couldn't help notice that everything was ironically in bloom. 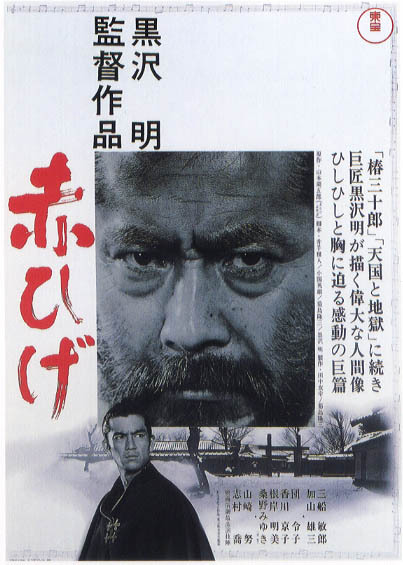 Akira Kurosawa's direction was never better, Mifune never acted better and at it's core Red Beard tells a story borrowed heavily form Dostoevsky, thus making this a labour of love. This film is flawless in many respects, if you're a film student, such as myself, you can take everything and pick it apart and find...The story is a simple one, a wise and determined doctor impresses a young ambitious doctor into learning what humanity is and how it exists all around us and that without it we are nothing. It tells of humanity through children and adults and the lowest depths of human existence. Some have argued the subject was a little too heavy handed but Kurosawa has always maintained that sometimes heavy handedness is needed especially for those who don't get it with a slap. In my opinion, there are periods in every artists career when they are at their best. Miles Davis was at his best before his breakdown, but the breakdown was bound to happen after creating and giving so much. I feel this is what happened to Kurosawa, he gave all that he could give and with this film, if you truly study it and study it well, (the DVD version comes with an exceptional commentary) you will find that this is one of the most finely crafted films in cinematic history, in fact as far as direction goes, it is difficult for me to think of one better directed. 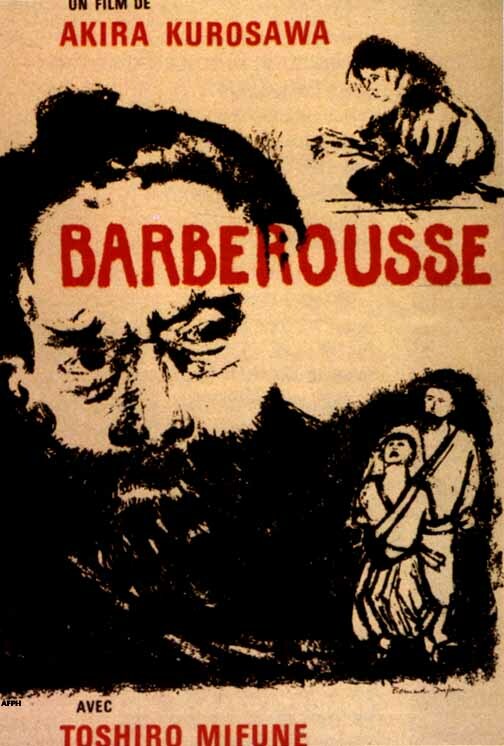 Fellini's best, Ozu's best, Coppola's best, Welles' best, Antonioni, Visconti, De Sica, Goddard, Renoir, Melville, Erice, you name it, watch their best with the sound off take note of the direction then compare it with RED BEARD. You will be left breathless. Kurosawa is a GREAT among the GREATS. This is visual poetry. 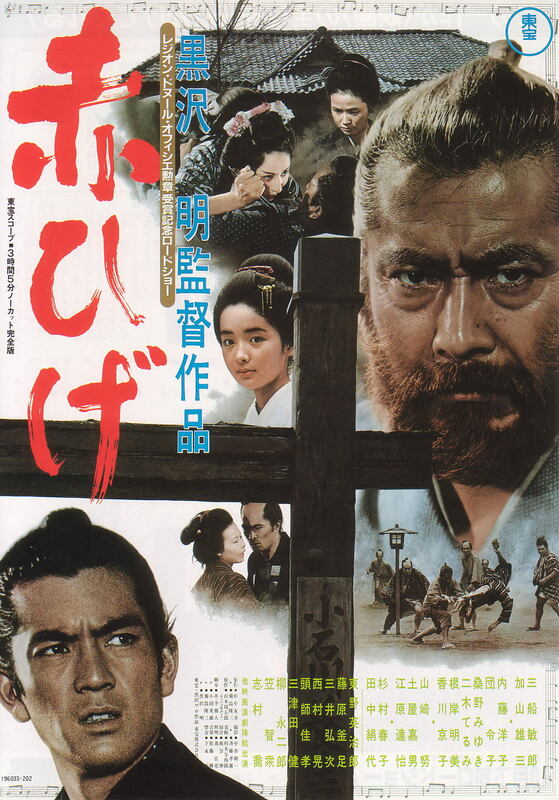 Kurosawa's great directorial swan song. Bittersweet, for after RED BEARD something within Akira profoundly changed.